In the fall of 2017, the Southern Utah University Research Team used the Great Basin Observatory to observe a triple star system. From these observations, SUU students were able to make a profound assertion. By noting the emergence of a small trend in the data taken from the GBO and historic observations, students suggested the three star system actually only appears to be a three star system. In fact, students suggested a gravitational relationship exist between only two of the stars. 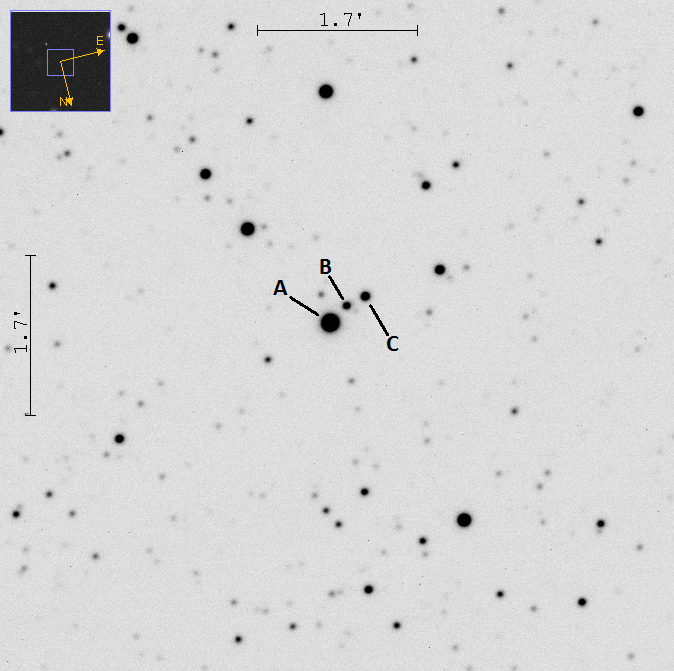 The findings of these students are queued for publication in the Journal of Double Star Observations in July of 2018. Similar findings can be expected soon as similar groups are actively examining other multiple-star systems. WDS stands for Washington Double Star. This triple star system was first found by Abel Pourteau in 1899.